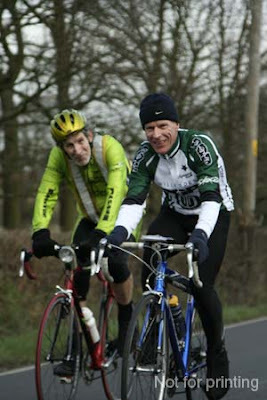 Tim Wainwright’s popular Brass Monkey 100km Audax ride took place last month. As well as organising and running the event, Tim was also out on the route taking photos of all the riders. The full set of photos, including several Willesden riders can be found on http://www.cig.canon-europe.com/a?i=konBYQFKw0 (Click on “View Album”). Tim must have a high tech camera with an amazingly fast shutter speed as he managed to get one picture of Mooney smiling!